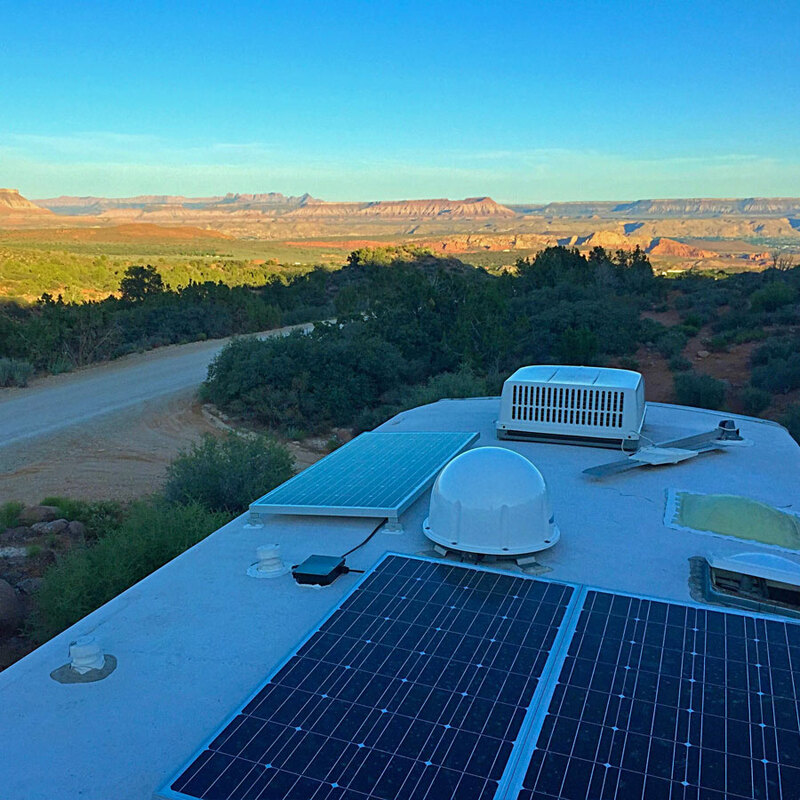 After we had our RV outfitted for solar power in Phoenix then tested out our new boondocking abilities in Sedona, we were ready to start heading north. We had made the decision to spend the summer in Alaska, but we had a long way to go before we even arrived at the Canadian border. We agreed to meet up with our traveling companions at Salt Lake City after exploring a little along the way. So we headed north, back past Flagstaff, the Grand Canyon and Vermillion Cliffs. We stopped for a few short days in Page, Arizona. Here, the internet was omnipresent but slow, so we spent a lot of time working. Fortunately, we did manage to squeeze in one impressive sight: Horseshoe Bend. 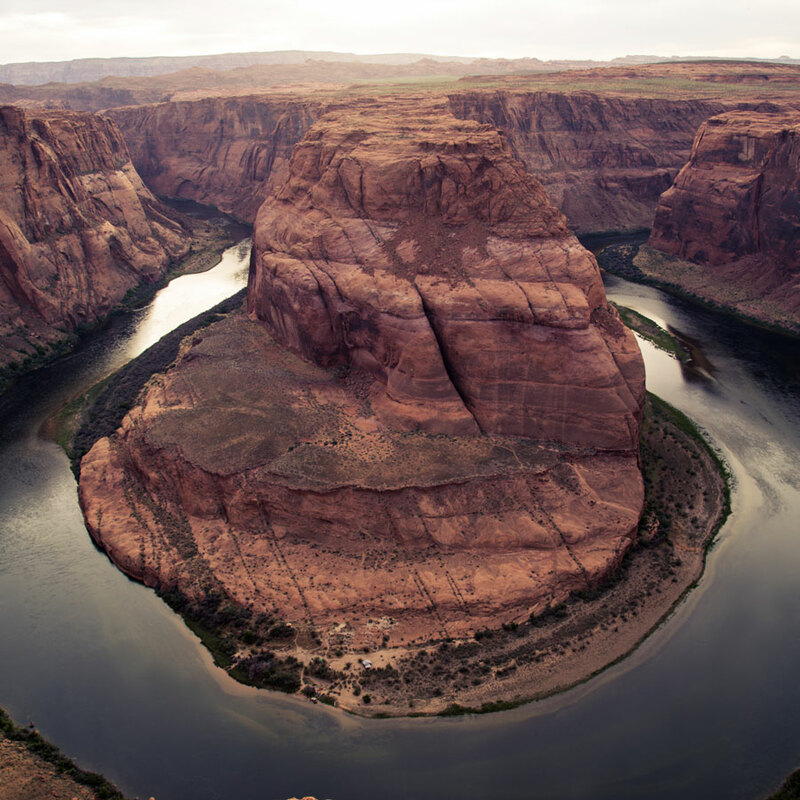 The same Colorado River that carved the Grand Canyon created this dramatic U-shaped bend, best viewed at sunset. If you hike this relatively short trail, be warned that there is some elevation gain and loss, the trail is almost all sand, and it can be very buggy in the spring. Still, it's well worth the effort and discomfort for this majestic sight. Can you spot the campground on the banks of the bend? We dipped up into Utah, as far west as Kanab, before following the highway back south into Arizona. Here, we passed through Colorado City, a stronghold of the Fundamentalist Church of Jesus Christ of Latter-Day Saints. Large, fenced compounds stand away from the highway, invoking desperate curiousity in those passing through. It is possible to travel from Page, Arizona to St. George, Utah without passing through Colorado City, but it requires traversing a portion of Zion National Park that includes a tunnel. Our RV exceeds the size limitations for the tunnel, so we took the southern route instead. Finally, we arrived in St. George, where we spent a couple of weeks working and exploring Zion National Park and Snow Canyon State Park. 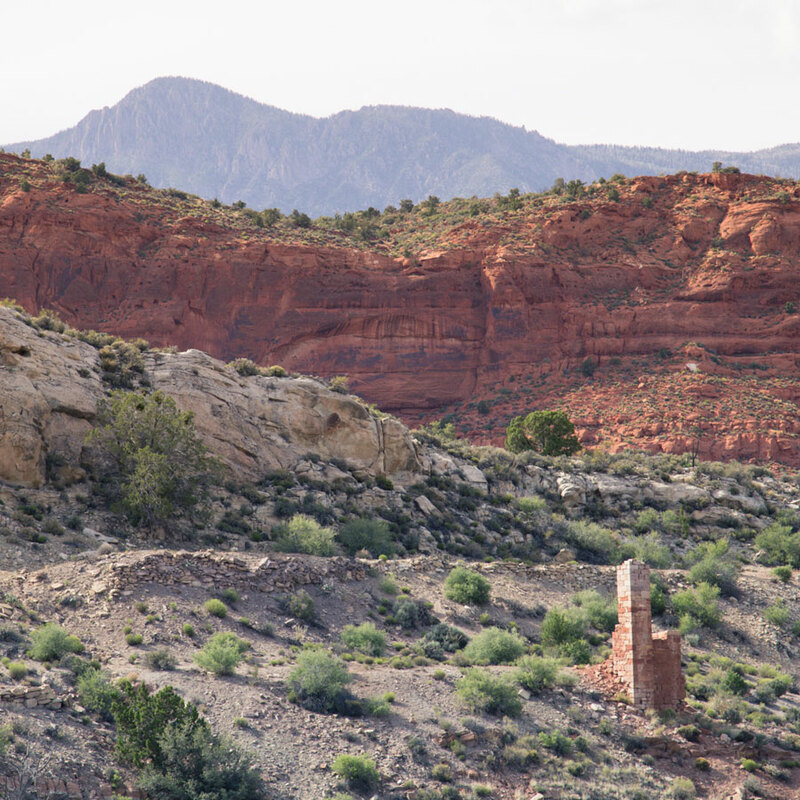 This part of Utah has immensely fertile soil, so much that it has long been nicknamed "Dixie." 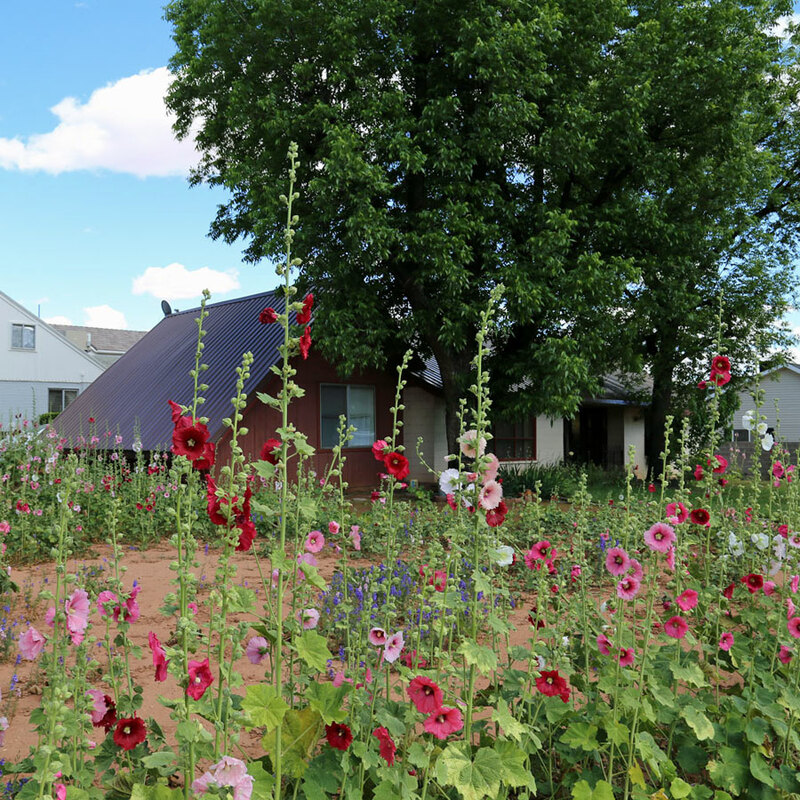 During the spring, it seems that every other house is competing for Garden of the Month. 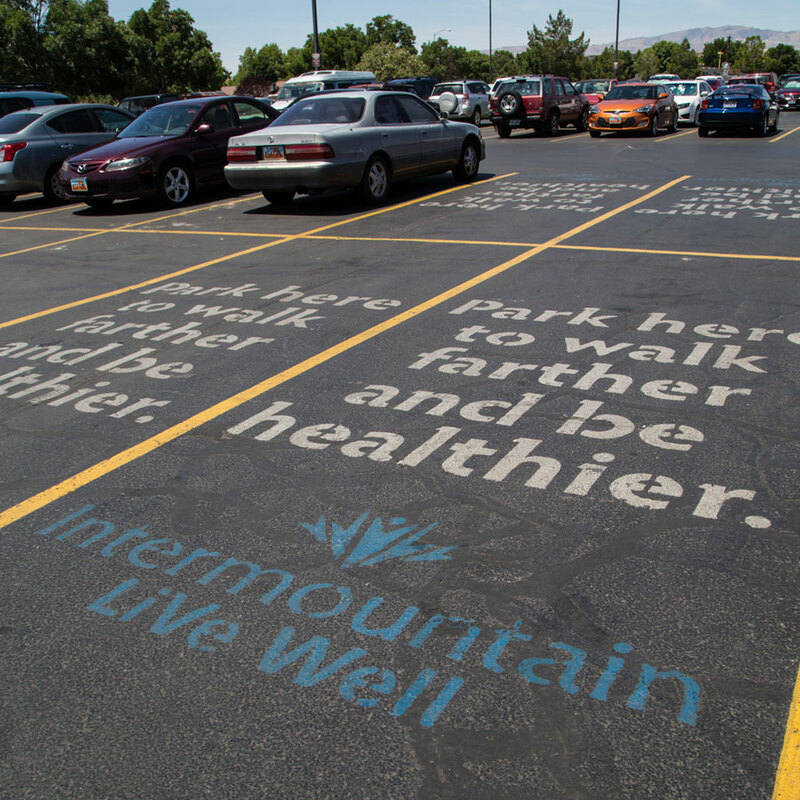 The area is also rich in LDS culture. 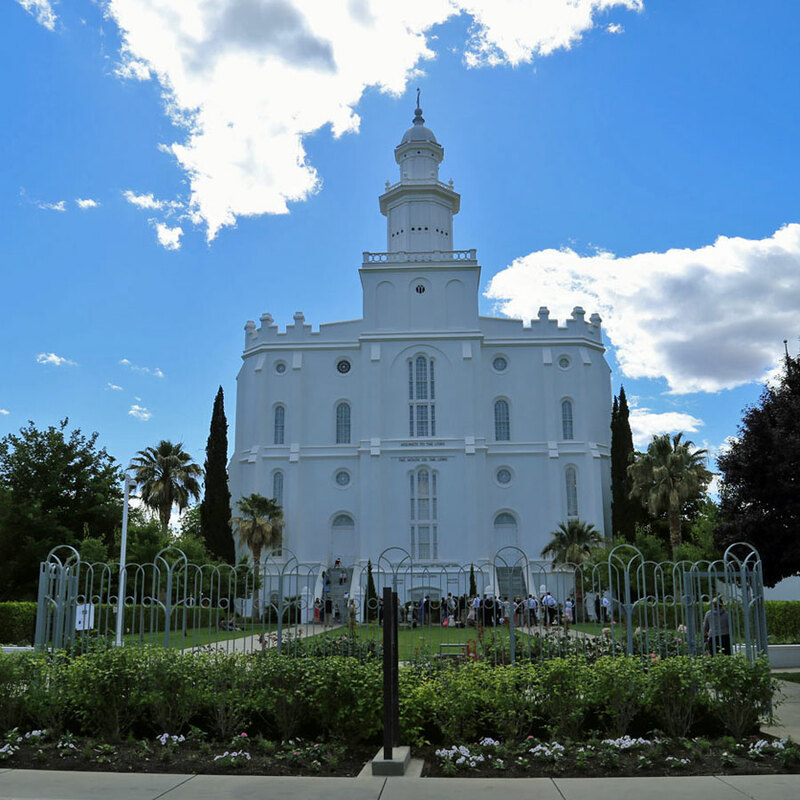 The most prominent building in the city is the St. George Utah Temple. Illuminated at night, this bright white structure acts as a beacon to travelers entering the city from the northeast. Mormon pioneer history permeates the city. 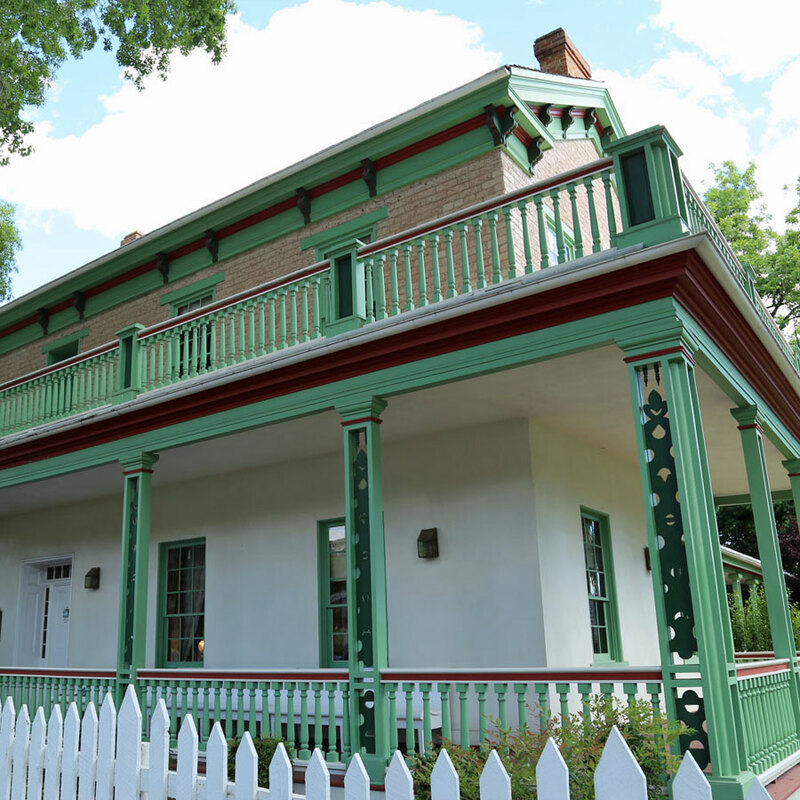 Here you'll find such attractions as the Brigham Young Winter Home, now open daily to the public. 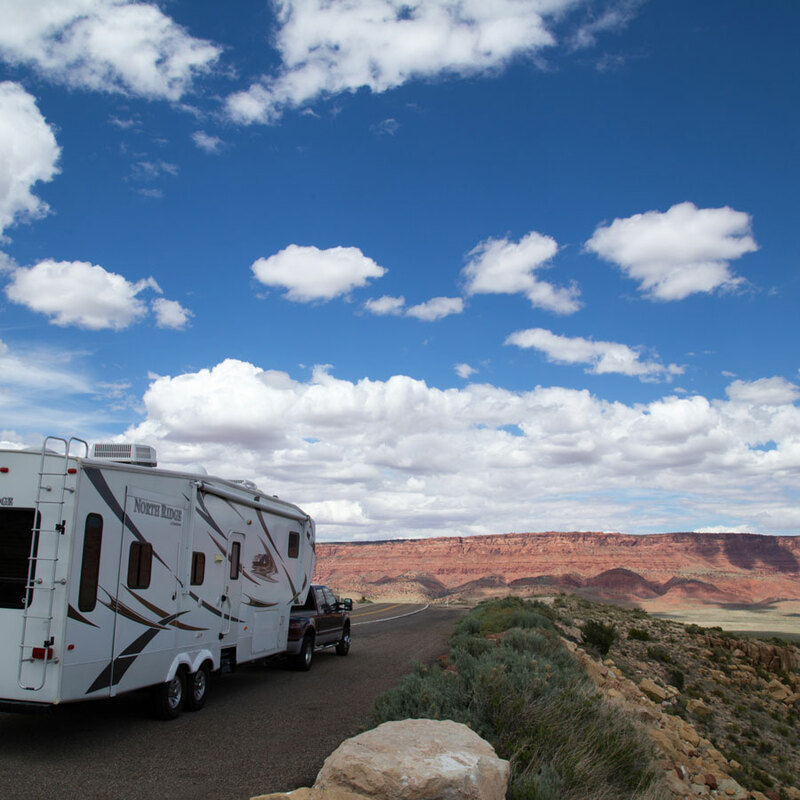 During our first visit to St. George (before turning back south to Phoenix), we spent our time camped at Temple View RV Park. While it was convenient, located in the middle of the city, it wasn't particularly scenic and was one of the most expensive parks we had stayed at. When we returned to St. George after having our solar panels installed, we chose instead to boondock in Dixie National Forest. 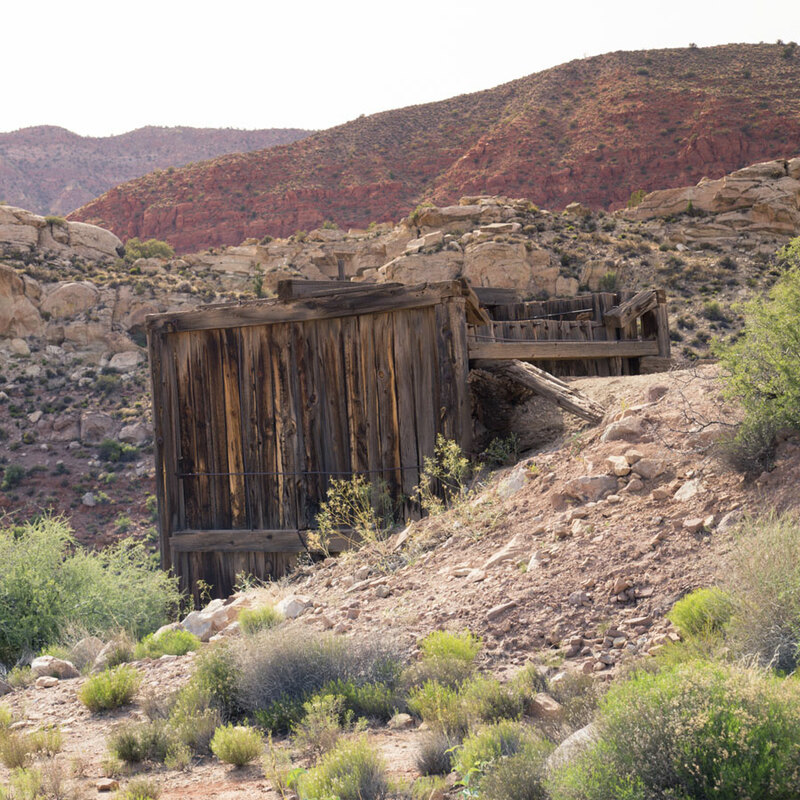 We stayed just outside Silver Reef, a mining ghost town in the midst of a thriving residential area. Silver Reef earned its name because it is one of the few places where silver was found in sandstone. 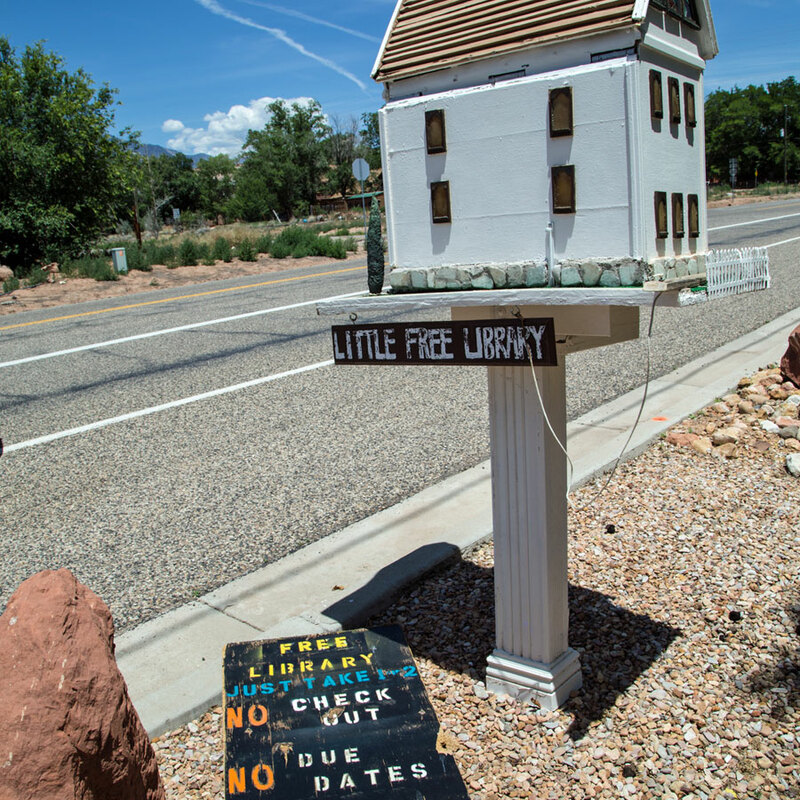 Silver Reef is just a mile from Leeds, Utah, a cute community worth exploring with historic Civilian Conservation Corps (CCC) ties. The drive from Leeds to Salt Lake City was full of inactive volcanoes, snow-capped mountains and expansive lava fields. 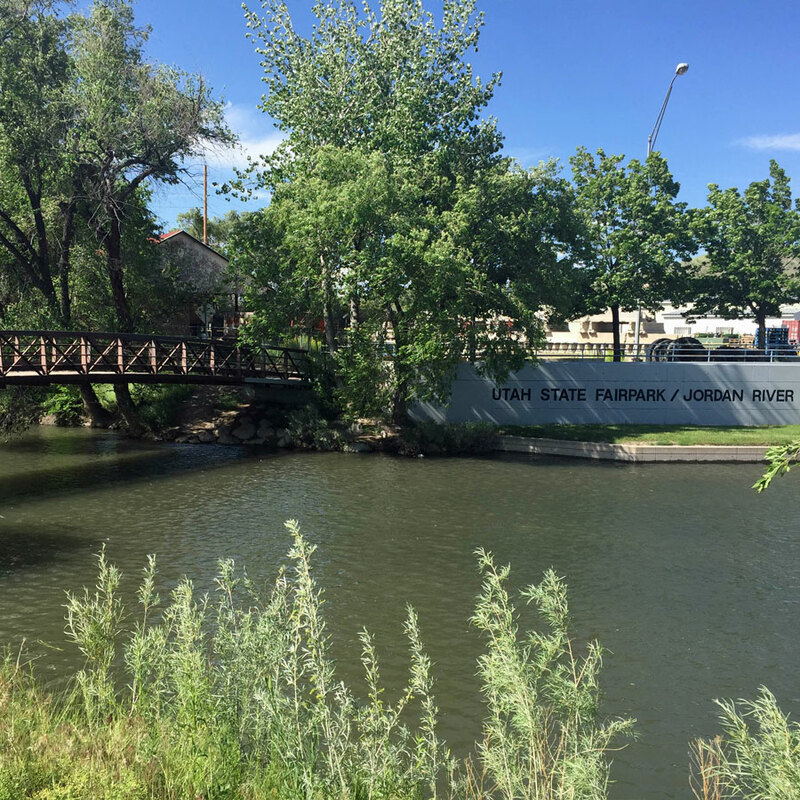 When we arrived in the city, we set up camp at the Salt Lake City KOA, centrally located next to the fairgrounds and on the banks of the Jordan River. In fact, there is access to the trail along the river directly from the back of the KOA. 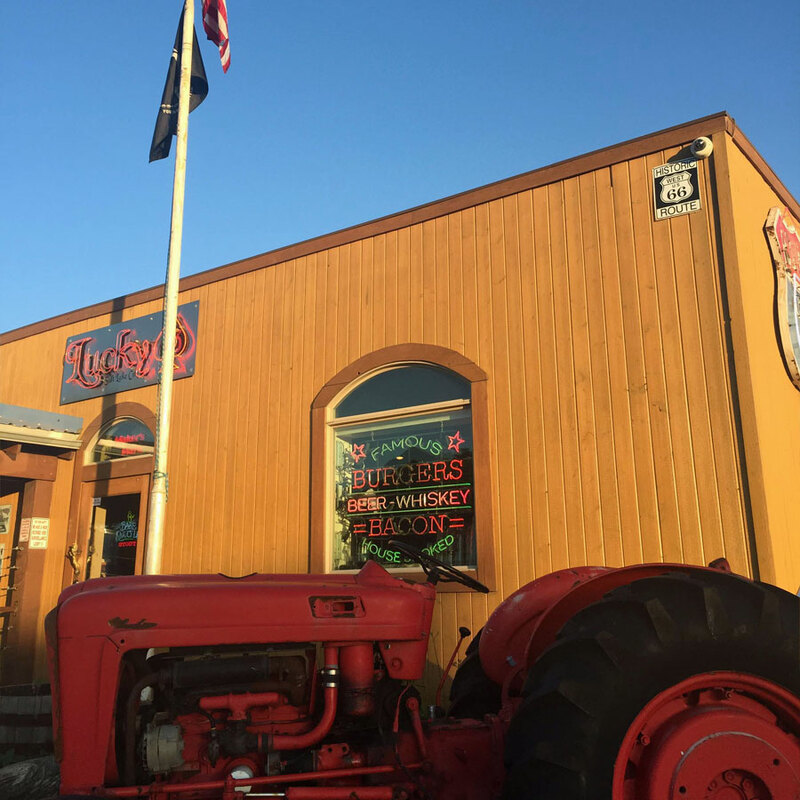 Although we only had a few days in Salt Lake City, we found some great restaurants. Our favorite was Lucky 13, a bar serving incredible burgers and fries. 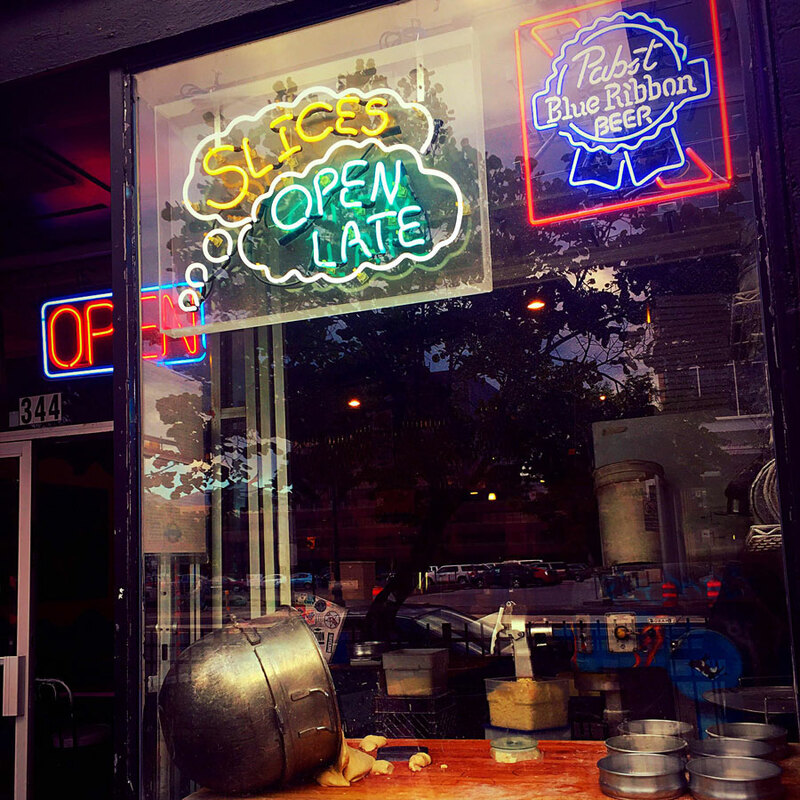 While it was a challenge finding parking downtown in our giant truck, we prevailed for the sake of Pie Hole, a local pizza-by-the-slice joint. Our wild flight up to Washington to prepare for our trip to Alaska was upon us, so it was time to move on before we knew it. We're looking forward to returning to Utah one of these days and exploring more of what this beautiful state has to offer. Where are your favorite places to visit in Utah?